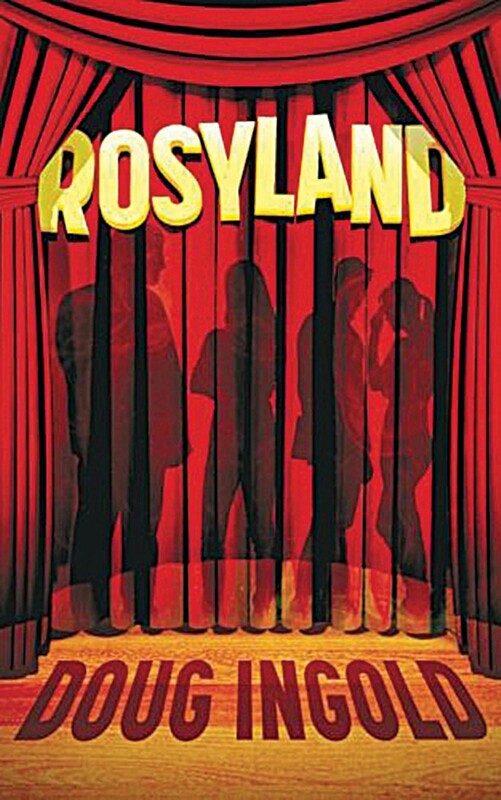 Local author Doug Ingold's new novel Rosyland is a tautly narrated thriller that uses Shakespeare's theater metaphor to convey duplicity: "All the world's a stage." It's not a new conceit but it gains something staged afresh in the 1980s among a colorful cast of Bay Area theater professionals, high rollers, drug dealers, cops and lawyers. Ingold, who has practiced law in Garberville for four decades, has been writing and publishing fiction for much of that time. Rosyland, his fourth novel from Garberville's Wolfenden Press, chronicles extra-legal shenanigans on the margins of the Pacific Northwest regional theater community after a gambling debt goes bad. Though it's subtitled "A novel in III acts," the book's theatricality is more about form than content. Characters are drawn in quick, efficient strokes, dialogue carries much of the story and Ingold's telegraphic prose often reads like a script or play. Rhythmically paced cuts from one scene to the next feel almost cinematic; it's easy to imagine the plot as a montage. And speaking of plot, there's no shortage of incident. A kidnapping, a mercy killing, a masquerade, a marijuana grow and a suitcase full of cash appear, as do subplots about addiction and divorce. Narrative pace picks up the morning after a high-stakes Tahoe poker game goes down, as players scramble to figure out who leaked to the local gossip rag about alpha-male attorney Pug Bolcar's $55,000 gambling loss. He now owes a man with drug cartel connections and designs on using Bolcar's land for a marijuana grow. Bolcar is a big talker and talented if lazy lawyer, capable of marshalling moral outrage when railing to his ex-wife despite the demonstrable flexibility of his morals. Much of the story is told from the vantage point of his daughter, costume designer Elisa Gilbert, who flees the Oregon theater after discovering her actor husband's infidelity for what turns out to be an even more drama-ridden sojourn at the San Francisco home of her rage-filled, vodka-pickled mother Ruth. Rosyland is an entertaining read, likely to charm those familiar with our legal and theatrical demimondes given its spot-on depictions of the manners and mores of upwardly mobile Bay Area residents circa 1988. Pug, Elisa and the stylish, diffident mogul Tripper McLain are fleshed out, while a few minor characters lapse into stereotype. The plot loses momentum in its last quarter; there was a lot of skullduggery going on, and I lost track of who was double–crossing whom at points, but to Ingold's credit as a storyteller, it didn't seem to matter. Raymond Chandler's byzantine plots never got resolved half the time either. Rosyland is a thriller, filled with events at the margins of the law without a pervasive sense of doom. In noir the P.I. 's failure to resolve a nefarious and complex plot doubles synecdochally as another piece of evidence in support of the vast conspiracy behind it all. Ingold's characters operate according to a grittier, less romantic code. In this post-lapsarian world, human weakness is a given. The tendency of hearts and affairs toward shallow duplicity is presented matter-of-factly: That's just the way we do.